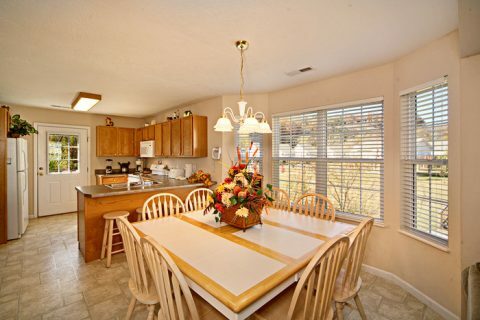 Enjoy this lovely 3-bedroom Smoky Mountain cottage on your vacation to remember! 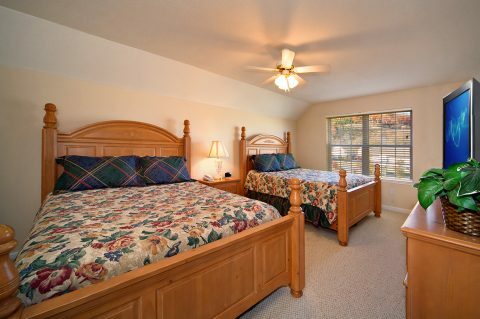 Located a half-mile off the action-packed Pigeon Forge Parkway, this affordable lodging gives the family the opportunity to relax in a quaint cottage that's both comfortable and convenient to Pigeon Forges attractions, dinner shows, museums and other seemingly endless adventures throughout Pigeon Forge! 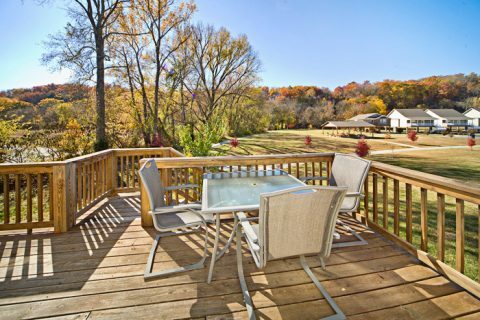 Even better, Pigeon Forge, as well as nearby Gatlinburg and Sevierville, hold several big annual events, such as car shows and crafts fairs, and your cottage's location offers fast access to these exciting events! "Applewood," one of premier Smoky Mountain cottages, sleeps up to 12 guests with 5 queen-size beds. 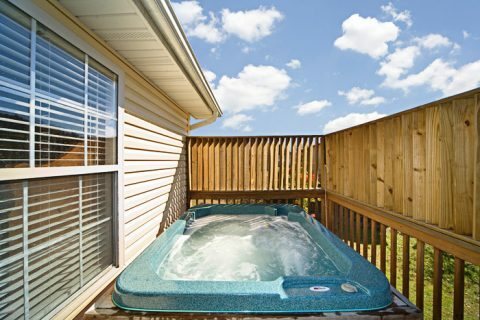 Additional amenities of this cottage in Pigeon Forge includes a hot tub with privacy wall, a seasonal gas log fireplace, a fully equipped kitchen, charcoal grill, and a washer and dryer. 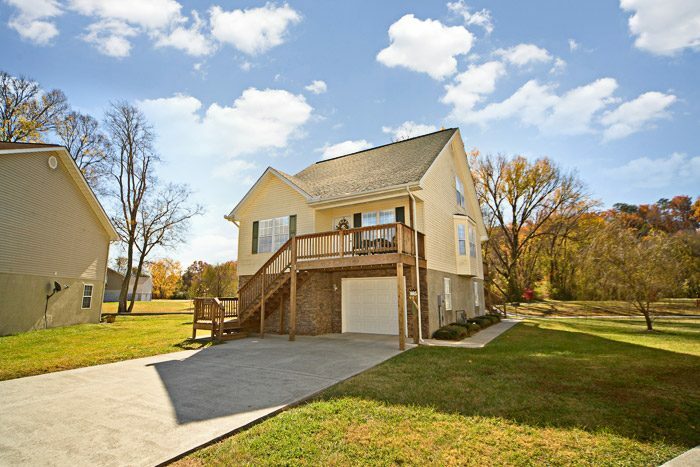 This quaint Pigeon Forge cottage rental is conveniently located near a scenic walking path that runs alongside the Little Pigeon River. 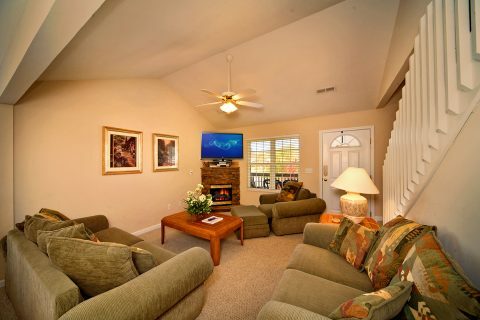 Ready to escape the hotel experience for an affordable cottage in the Smokies? 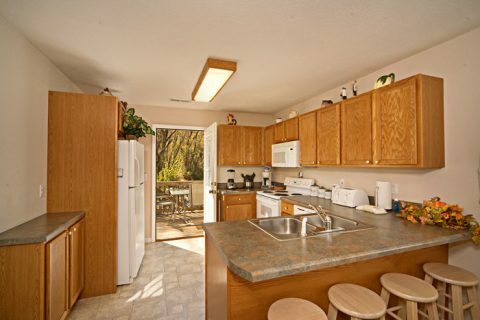 Book "Applewood" or any of Cabin USA's Smoky Mountain cabin online and get an immediate 15% discount!